When thinking back about the origins of Dum Dum Girls, front woman Dee Dee Penny recalls how her jangle-pop project humbly began in her bedroom. "This was very much a personal recording project, just me figuring out how to do music on my own," she tells Rolling Stone. "I had played in a series of other peoples' bands for five or six years at that point and was really burnt out on that experience." Six years and three albums later, Penny's one-woman project has grown into a full-on band with her at the helm and famed songwriter Richard Gottehrer (Blondie, the Go-Go's) as her go-to producer. Penny writes the songs on her own and then brings them to Gottehrer, who fills them out instrumentally. Sonically, the pair are a perfect match. "I grew up with a lot of Sixties music...a time when you had songwriters whose jobs were to crank out hits," she says. "I came to regard those songs as a high bar in terms of songwriting." Nowadays, though, Dum Dum Girls' influences mostly hail from later eras: the Cure, Siouxsie and the Banshees, Madonna, Patti Smith. Gottehrer helped Dee Dee open up her sound from scrappy garage rock to the glossy, Eighties-tinged guitar pop of her most third LP, Too True (out now on Sub Pop). But the album still relies on Gottehrer's deep knowledge of the past. For instance, "Are You Okay?" was a track Penny was planning on writing for Ronnie Spector until Gottehrer intervened and encouraged her to keep it for herself. "That song is more personal than I would write for myself," she says. "But because I had the security of thinking somebody else would be interpreting it, I wrote it a little differently than I might have otherwise." So far, the Dum Dum Girls have gained a cult following in garage-rock circles, but the tracks on Too True could change that. 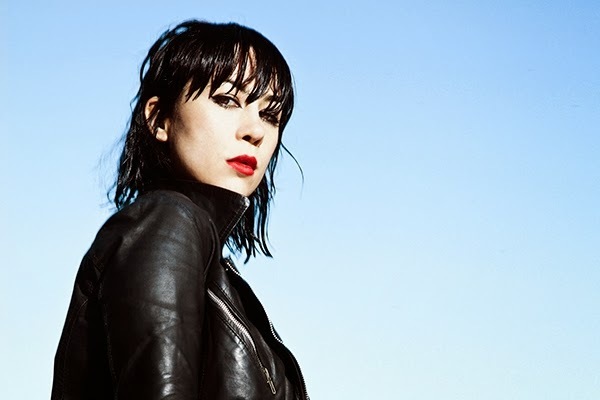 Songs like the misfits anthem "Lost Boys and Girls Club," the 19th-century libertine poet-referencing "Rimbaud Eyes" and the angsty love song "Too True to Be Good" sound more like timeless pop songs than the lo-fi fuzz rock of her earlier work. Dee Dee's aspirations extend beyond the underground. "I always want a larger audience – not like I'd sacrifice something for it – but of course I would love to be able to make music on a larger scale."